Very little of the great Missouri River looks as it did when Standing Bear and his Ponca band lived beside it, right there at the confluence of the “the Big Muddy” and the Niobrara. Four huge dams brought discipline to a madcap river far too unruly. 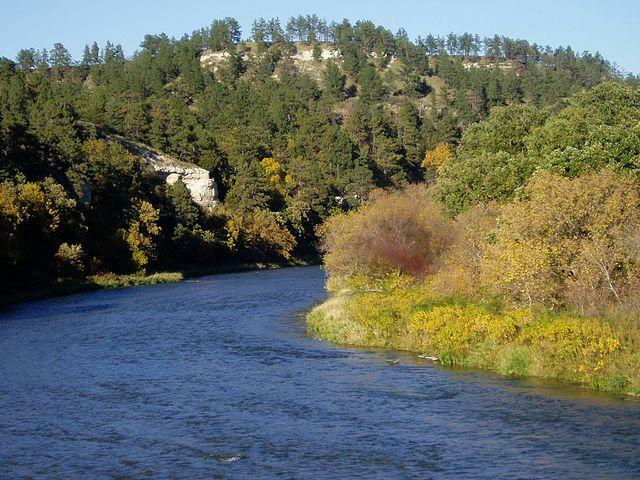 But some say the segment of the river most like the Missouri Lewis and Clark navigated is right there—from the mouth of the Niobrara south to Yankton. From broad shoulders on both sides, the view is breathtaking. If you cross Standing Bear Memorial Bridge into South Dakota, you should really pull over; there’s a rest stop. Get out of the car, and have a look for yourself, but take a good long breath when you put your feet on the ground because it may be a while before you can breathe again. Those giant sandstone cliffs, a long succession of clenched fists, are visible for miles. The land rolls and rises and drops as if a millennium ago some immense pot was boiling away, down in the belly of the earth. Don’t be fooled by the landscape’s stunning elegance. It’s a rugged place whose beauty belies its unforgiving character. 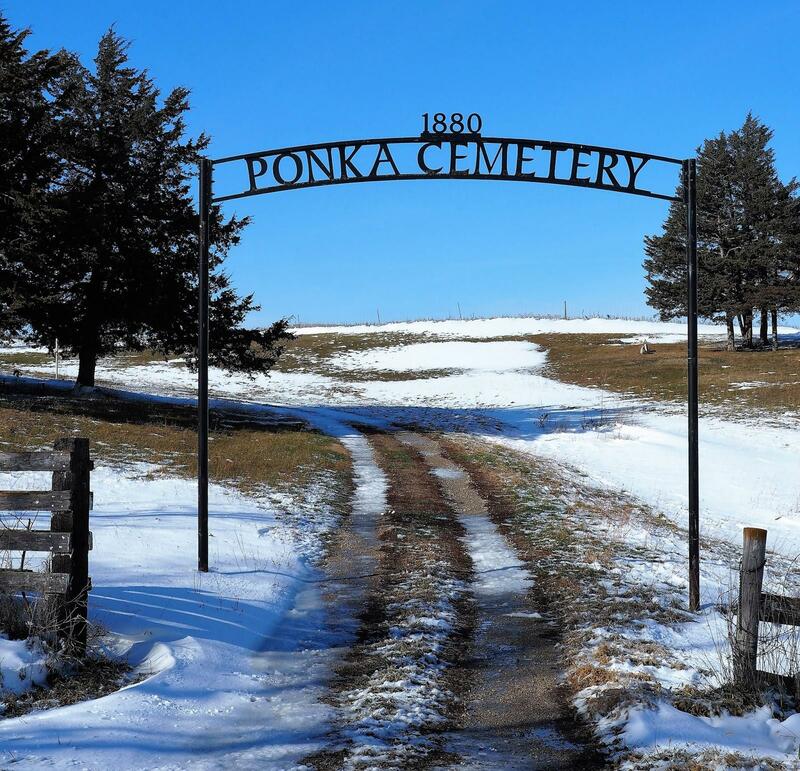 A cadre of Mormons tried to winter there in 1847, and left a number of dead behind, a tally that would have grown had the Poncas not come to their aid. But it’s a beautiful world right there at the two rivers. If you get up high in Niobrara State Park, it’s easy to see why Standing Bear wanted to be here. If you question folks in town, you won’t be the first: No, no one knows where Bear Shield was buried, once Standing Bear, an actual, legal person by historic court decree, came back to the neighborhood in 1879. 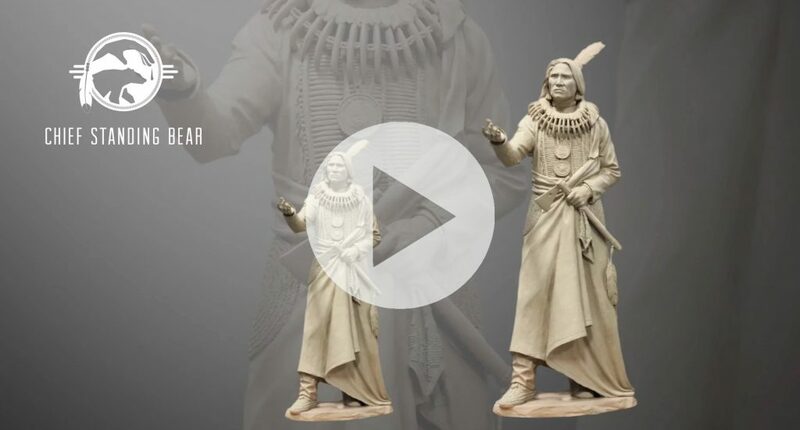 You may ask, but I’ll tell you the answer to your next question, too: No, one knows where to find the grave of Standing Bear either. That’s okay. Leave town, drive west, don’t be afraid of getting off the road. Get up on one of those hills and just sit there. What I swear you’ll feel is the comfort of knowing he’s still there somewhere in his bear claw necklace, his weariness forgotten amid burgeoning hills delicately threaded by ribbons of rivers all around. But, if you’re quiet and if you wait, if you simply sit there, you might just see him right there in this, his world. There is a graveyard. It’s not marked, but if you follow a winding road for a mile or so farther than you might think comfortable, you’ll come to a gravel intersection at the foot of a cemetery that runs up to the top of a steep hill. The stones stand in bands, not rows. Some graves memorialize men and women who claim to be grandchildren of Standing Bear. Some recent graves sit up at the top of the hill at the end of property. It’s worth the long walk. Besides, far away on the other side, someone keeps buffalo. If you’re lucky— and if you’re blessed—you’ll see them. They may well seem a vision. Skeptical? Sure. Look, by white man’s standards, the place isn’t kept. Somebody ought to mow the grass. All that clutter around the graves? —it ought to be out of there a week after Memorial Day. It’s a mess. If you want to ride to the top, you better have four-wheel drive. If you read the news lately, you might assume that, soon enough, there will be another delegation of Native people up here, laying to rest the remains and the funerary items of aboriginal ancestors who were here hundreds of years before any white man or woman. Those remains will rest here, among Standing Bear’s Poncas, rest here as persons, not specimens. Look around again. This is where Bear Shield, just a boy, told his father he wanted to be buried when his father held him, a dying boy in his arms. 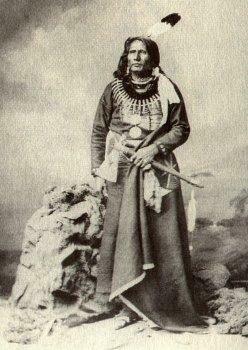 This is the home of Standing Bear.